December is known for one holiday in particular. It’s of course Repeal Day, Dec. 5, when Prohibition ended. But we’d like to add another big date. Bisnow’s SoCal Hospitality Summit. Our annual hotel check-up is Dec. 19 at the Montage Beverly Hills. This week, we spoke with two of our experts. Drinks weren’t served… but we could’ve if we wanted to. 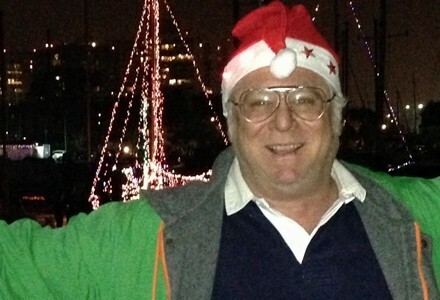 Sonnenblick Development chairman Bob Sonnenblick (looking festive at the Marina Del Rey boat parade) has two hotel projects funded and soon to get underway in California. He’s breaking ground in Q2 on the USC Hyatt House, a $75M, 200-key hotel on the USC Medical Center campus, next door to the County-USC hospital. Bob tells us families of patients will be able to easily walk across the street. He’s also building a $40M Hyatt Place hotel inside the new terminal at Sacramento International Airport. And Bob’s got other projects in the hopper, including a 330-room Loews in Cathedral City on Highway 111 and a 335-room resort on 400 acres he bought in Pinehurst, NC. He’s actively looking for land for additional hotels, especially waterfront-oriented sites in the LA area.